and cumulus clouds are big and puffy, almost like cotton balls. 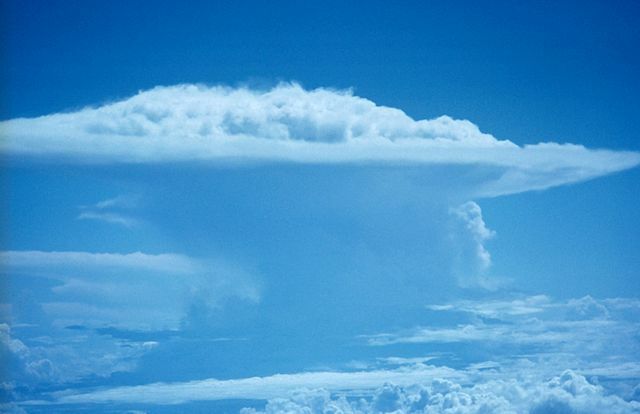 Another cloud type is called a cumulonimbus cloud. They are usually tall and mushroom shaped, and they are usually around in thunderstorms, lightning and even sometimes tornadoes.